Whoopi came to the shelter in April when her owners moved to no pet accommodation. 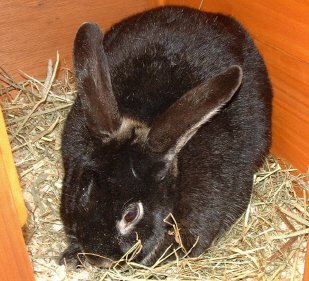 Whoopi has a strong character and will not tolerate any other rabbits. However, with humans she is really sweet and in need of a good home. She can be rehomed with children over 5 years old. 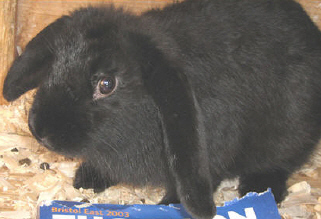 Scamp is a rather cute black mini lop eared, under a year old. He came from the RSPCA so I don’t know much about his background except that he was not wanted. He has just been neutered so will be ready for matching with a neutered female from 8th September onwards. 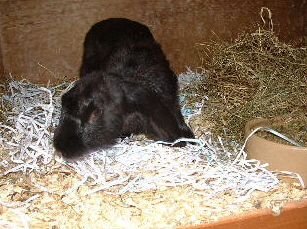 Easter is a 4-5 month old black English Lop-eared male. He is neutered and microchipped and is friendly but will need some handling as he came in to the rescue as a stray. His ears will eventually grow to about 30 inches when a adult so the new owner needs to be aware of this.